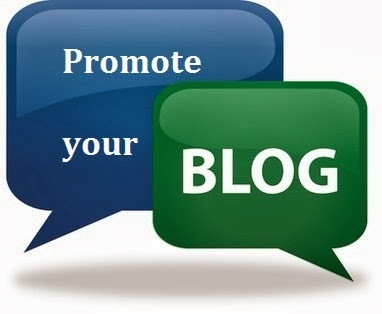 How to Market Your Blog Locally. When people want to research a topic, they turn to blogs. In most cases, it doesn’t matter where the blogger lives, as long as they know what they’re talking about. However, that distance comes with a sense of disconnect, which can only be solved by adding a local flavor to your blog. Before people started connecting online, our towns and neighborhoods were the only communities we knew. That hasn’t gone away completely, so local marketing is still an effective way to build a following. If you want to build a fan base close to home, here are a few local SEO tips to get you started. Local newspapers and magazines are alive and well, even if you have to go online to read them. Their staffers are always looking for a good story, or maybe they’re searching for good content on a slow news day. Become your own publicist and pitch your blog to these roving reporters. The most obvious move is to offer to contribute content to the site. Write something specifically for them, and add your byline to the bottom. Over time, they’ll become familiar with you and may link to your blog or even turn you into the subject of a story in their next issue. Yes, blogging is a lonely job, but you need to get out once in a while. We connect online with people we’ve met in person, so why would professional networking be any different? If you want to boost your local marketing, attend local events and introduce yourself to your neighbors. This doesn’t just raise your profile among the locals – it also offers new blog topic ideas. A recap of an event in your field makes for an interesting story and offers free PR to the hosts, while other events could serve as anecdotes for other topics. People used to check their phone books for things like restaurants and plumbers. Now, they go online, using the name of their town or neighborhood to narrow the results. People don’t always look for local bloggers, but optimizing for local search reinforces the idea that your blog is part of the community. Maybe you’re already using Google+ Local because you weren’t happy with other searches on “water heater repair Syracuse NY.” The site can also be a great place to build your credibility as an authoritative voice on the local scene. People go to Google+ Local to find fun things to do in their neighborhoods. In particular, they favor listings with great reviews. Writing reviews of local businesses raises your social profile and connects you to local residents, including potential readers. If you want to grow your blog, your best chance may be in your own backyard. Develop a local marketing plan and you could be the voice of your town.